– The Canon PowerShot SD300 gave up the ghost about 1 week into the trip. The lens refuses to retract, and the device flashes error 18. – My iPhone stopped delivering email for about a week, then started working again. I think this was related to the iPhone 3G launch. – The home button on one of the iPod Touches started doing strange things, then kind of started working again after several reboots. – My ThinkPad X300 laptop: I used it for several hours a day, mostly doing email and trip research. Worked like a charm. The built-in Verizon EVDO service worked almost everywhere (except national parks), plus most motels seem to have free wifi these days (some of it even worked). At one point we managed a full screen Skype video “road chat” with my sister who was traveling around Europe – pretty cool. Great, solid device. – My wife’s MacBook: Also worked well, though without EVDO it lay dormant quite a bit. – The Dash GPS: I already talked about it here. Good device. – A clarion car stereo with USB slot: I put a bunch of music on USB memory sticks, which worked out well. The rest of the time we listened to podcasts and music from the iPhone and some good old CDs (the music from Spamalot became the official trip soundtrack – don’t ask!). – A Kodak EasyShare CX6200: This thing takes terrible pictures, but is indestructible. The kids used it. – Three Nintendo DSs: Wow, these devices can take hours of playing/abuse every day from kids (including the touch screen) and keep ticking along. The kids enjoyed lots of networked games like PictoChat, Mario Party, and Mario Kart – a lifesaver during long car rides. 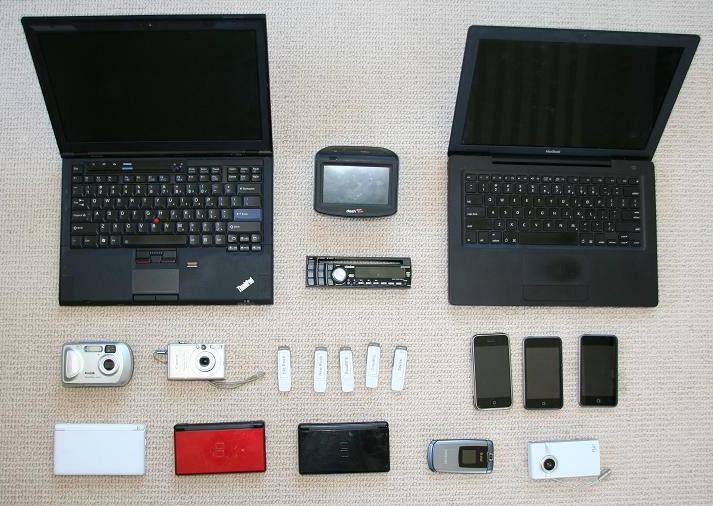 Great devices. – A Flip point and click video camera: Diane and Sophie used it mostly and took several dozen short videos. Works as advertised, I’d definitely much rather have this along than a big, expensive video camera. – Diane’s cell phone and my iPhone: I think Diane hardly used hers, but I used my iPhone pretty heavily. I made several conference calls, checked lots of email, and browsed TripAdvisor and Yelp a bunch. I tried using AOL Radio and Pandora, but they dropped out too much while driving. – Two iPod Touches: The kids used these to watch movies and listen to their music. They worked well, though downloading movies takes a brutally long time (and a good wifi connection which is not easy to come by). 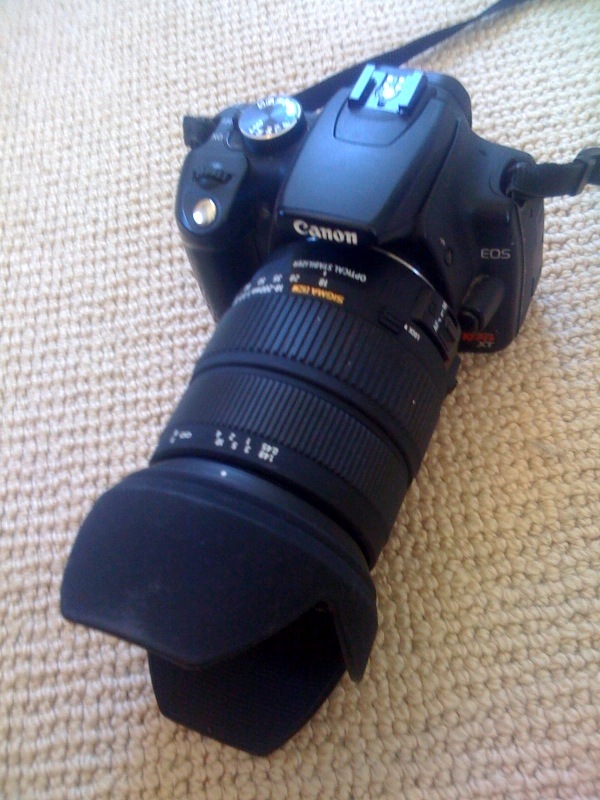 – My Canon Rebel XT with a Sigma 18-200mm lens: I took over 3000 photos and really like the results. The lens is a little heavy, but has an ideal range and good image stabilizer. The camera has good battery life, and the camera/lens combo takes great photos while being small enough to not require a bag. Well, we took a 1200 mile trip and had just slightly less gadgets. Actually I had two laptops just by myself (mac and vista). Hi Toni, welcome back. The trip sounds great. About the dead camera: it looks like E18 is a notorious syndrome among many different Canon cameras. Hope you can repair yours. I also brought my gadgets during my vacation.. it's really hard to disconnect myself to online activities.. so I never forget bringing my laptop. love you DSLR camera..